PDF previews of seven of my books are now available for download from my website . I haven't provided previews of my short stories --what would be he point? -- but I'll do For Viktor next. 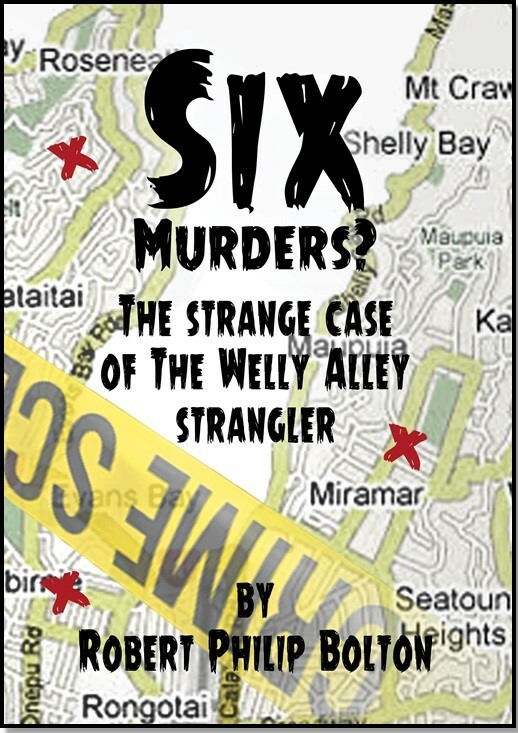 Go HERE for a downloadable PDF preview of Six Murders? Yes. I'm gradually preparing and uploading PDF previews of my book so readers can 'try before they buy'. Today I have made two more previews available: The Fine Art of Kindness and Underneath The Arclight as well as To the White Gate and Six Murders?. NEW. Free PDF downloads of two books. I've now made available PDF previews of two of my books and more to come. A week from today (Tuesday 15 May) we should know the ten books (from more than sixty) that have made the long list for the 2018 Ngaio Marsh New Zealand Crime Fiction Awards. Will Six Murders? be there? I have no idea but I've never been especially confident simply because it's not a 'serious' crime or mystery story. But whatever happens it's been fun being accepted as an entry. Labels: Author, Awards, Murder in the Library, Six Murders? I get lots of questions about how to buy my books. Being an independent self-published author means having to set up independent sales channels as book shops are not interested in anything that’s not from a publisher and most New Zealand publishers are interested only in books about sports, celebrities, cooking and gardening. In New Zealand I sell my books through my website. The biggest issue is payment. I’ve tried everything and found the simplest thing is to provide a way for readers to place their order(s) by email and pay online from their New Zealand bank account to mine; I provide the bank account number in the email which is generated when a buyer clicks on the website ‘Order Here’ button. It’s so safe and simple. Seven of my books are also available from Amazon which is the best way to sell books internationally as postage from New Zealand is prohibitive. Book shops will happily order any book on request (although you’ll probably pay extra for the privilege). The key is to quote the book’s ISBN although a book title and author name will also suffice. All my book ISBNs can be found here. Auckland and Wellington libraries stock multiple copies of most of my books and most libraries will happily buy in a book on request. I was born in Auckland, New Zealand, in 1945 which makes me much older than I ever thought I’d be. I began freelance writing in 1983 and have been a self-employed writer ever since. For the last few years have dedicated myself to my own writing, preferring to write and publish my own work which is mostly (but not only) about New Zealand and New Zealanders. I have published thirteen books which I sell in New Zealand from my website and around the world from Amazon (and Kindle) . Information on how to buy my books and e-books is provided on my website. I welcome comments and feedback and am happy to speak about my books to schools, book clubs and writing groups within a convenient reach of Auckland. I welcome email comments and feedback.